Elsie is massively into her interactive animal toys at the moment, her latest being the Zoomer Hungry Bunnies. Zoomer Hungry Bunnies really eat! 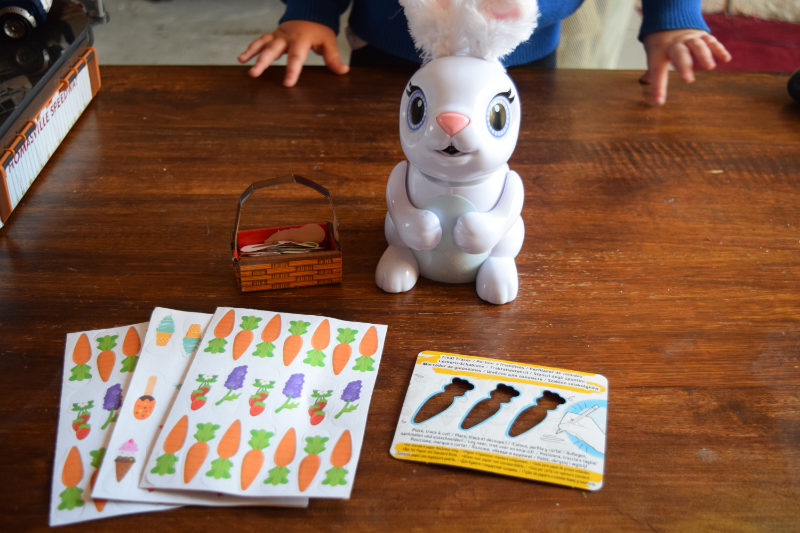 The Zoomer hungry bunny comes with 4 snack sheets, full of tasty treats to serve your bunny, a treat tracer to create your own snacks using paper, a snack basket for you to build yourself and an instruction leaflet explaining how to use the different features. After a meal the hungry bunny will poop a colourful confetti surprise. Elsie helped me create a video over on Youtube showing our Zoomer Hungry Bunny in action. You can watch it below. All of the kids have been absolutely loving the Zoomer hungry bunny. They love feeding it and think the confetti poop is hilarious. I however, am less of a fan of the poop. It is like pencil shavings and I am finding it everywhere. Children do seem to love the messiest toys though don't they?! As much as I do not like the Zoomer hungry bunny I can definitely see the appeal for the children and appreciate that it keeps them entertained for so long. 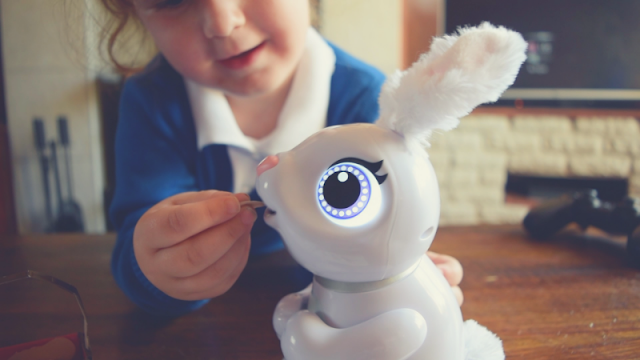 You can find Zoomer hungry bunnies at Smyths Toys and many other toy retailers. *We were sent the Zoomer Hungry Bnny for review purposes but all opinions are my own.